This page is still being put together. 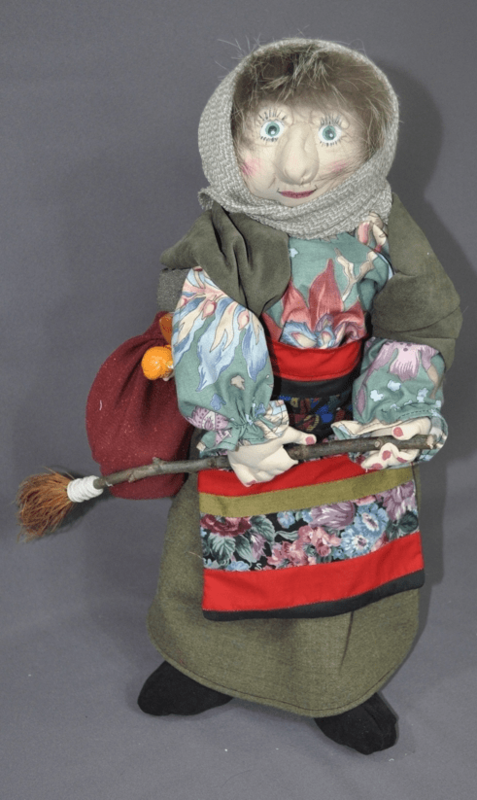 As a hobby, I like to make one-of-a-kind dolls. They are very time consuming but a good challenge. If you have been wanting a unique doll made for someone special, let me know what you are looking for. Here are some of the types of dolls I make. 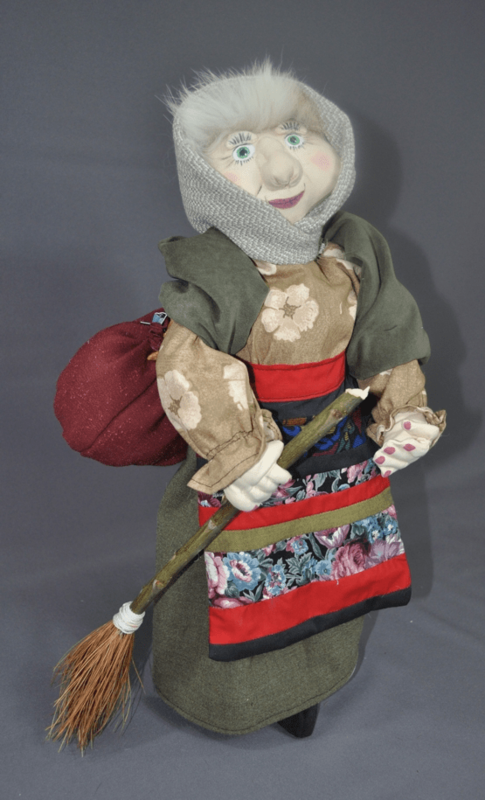 I can create one-of-a-kind dolls from clothing or wedding dresses for your enjoyment. They can be display dolls or actual dolls to be played with. I can create a doll based on a picture or illustration. Dolls based on real people. Just send a couple of clear pictures that I can use. Note: I will not use the image of a famous person without proof that you have their permission. A couple of years ago, a woman asked me to make a custom doll based on a Christmas story from her childhood. 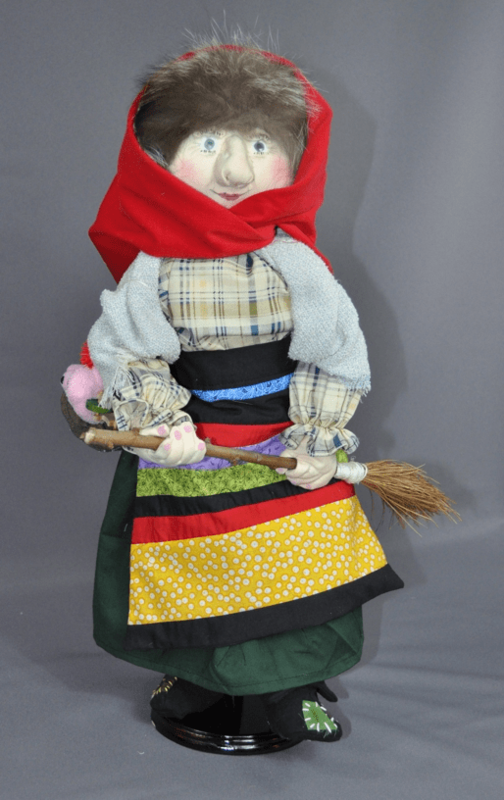 I was not familiar with the Italian story of La Befana, the Christmas Witch, at the time. Now, I get to make several versions of her each year and I love it. 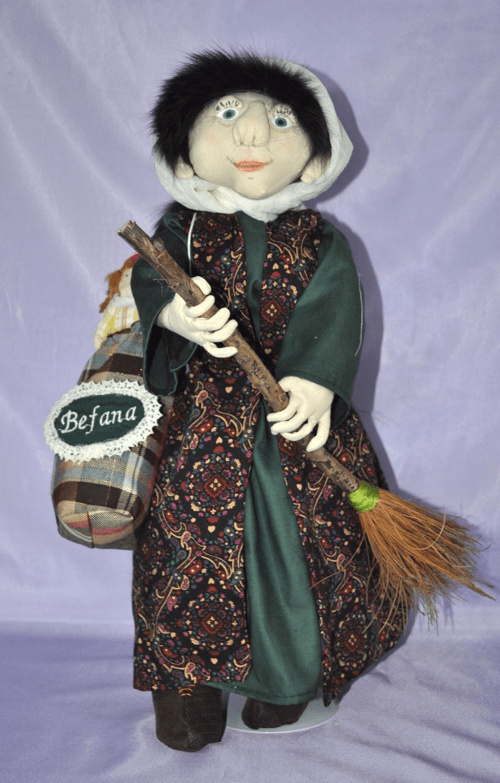 Each 20″ La Befana Doll is custom made. Clothing colors and fabrics will vary. It will usually take 4-5 weeks to get her to you depending on how busy things are around here. If you are interested in having me make her for you, here is an order form for you to print. I charge $185 for the doll and $15 for shipping. Ceremonial Doll Clothing: This option was requested recently and we thought it was a fun option. We will make a miniature version of the communion gown for your daughter’s favorite doll. We currently have patterns to fit the American Girl or Cabbage Patch Dolls. What a lovely heirloom to have.